Choosing your first new car can be a daunting experience, we make it a whole lot less stressful. You have finally secured your first proper job and can trade in that leaky old jalopy for something brand new and reliable. Even if your budget doesn’t stretch all that far you may be surprised to see how much choice there actually is out there even at the bottom end of the market. But with choice comes indecision which leads to frustration, tears, shouting and eventually anger. This will inevitably have you making the wrong choice which would be a real shame seeing as you will be stuck with the payments for the next three to five years. Happily, we can save you from that unsavory process and have selected some of the best new cars out there from the huge list of potential candidates. From practical sedans to sporty little roadsters, we have something here that is sure to be a great fit. Our criteria were relatively simple, the car could not cost more than $30,000, (some are well below this figure) it had to have a good reliability index, give good gas mileage and offer at least something interesting in their spec sheets. Not everyone needs or wants the same car so our choices span a variety of segments. If you thought that your first new car had to be a sad little base model then read on. Let’s assume you don’t want a big sedan and will be spending the majority of your commute within city limits, in that case the Ford Fiesta may be the ideal fit. Go straight for the sporty ST trim, it comes packed with features such as heated seats and a premium audio system and prices start at $21,285. 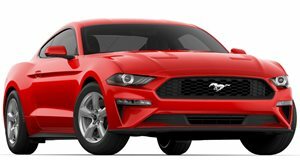 With the recent announcement that Ford will discontinue all passenger cars bar the Mustang and a Focus crossover, there are some super deals to be had too, like up to $3,000 off on certain models. Don’t worry, you still get a proper warranty from Ford on all of its cars. 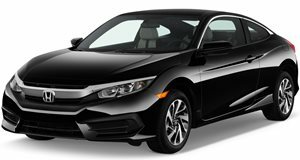 The Civic Si is one of the best cars in its segment, combining a surprisingly nippy 205-hp 1.5-liter turbocharged engine with a great chassis to offer a very enjoyable drive. 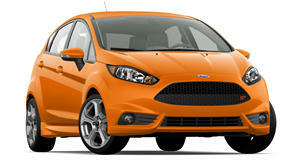 Think of it as a slightly larger Fiesta ST really. 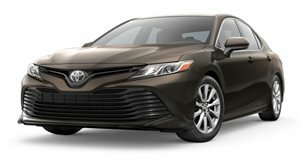 It is a tad pricier at $24,100 but you do get more equipment for your money and you can also have it as a sedan if you need the extra set of doors. With 28/38 mpg figures in city/highway driving you will be smiling at the pumps too. Hyundai has been making some impressive vehicles in recent years and the Elantra GT is one such car. In base GT trim you get a 161-hp 2.0-liter motor and at $19,350 it is very well priced. The GT Sport will appeal to those who want a bit more power, its 201-hp 1.6-liter turbo engine is a peach and the independent rear suspension enhances its handling capabilities too. $23,250 is where it starts. 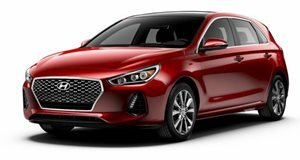 There is currently a $2,500 retail bonus on all Elantra GTs until May 31, making them even more of a deal. Of course, not everyone is looking for masses of cargo space or even a row of rear seats, if you fit that bill then look no further than the Mazda MX-5. 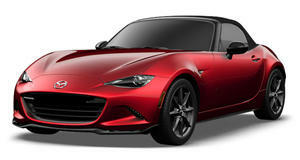 It is a sporty little roadster that focuses on driving feel and enjoyment above all else. The small 2.0-liter engine is not all that powerful but it is plenty for the light bodyshell and a good introduction into the world of rear-wheel-drive. Sport trim starts at $25,295 but spend the extra $4,000 for the Club trim as you get some valuable extras such as an LSD and sport-tuned suspension. The 86 aims to achieve a similar result to the MX-5 but it is available as a coupe only and comes with a (small) set of rear seats. The additional practicality may be useful on occasion and its 2.0-liter engine is also a bit more powerful at 200 hp. 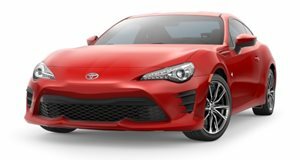 Starting at $26,975 for the base 86, you don’t necessarily need to spend more as it already comes with an LSD and driving fun is really what this car is about. The Mustang may seem like a lot of car for the money and that's because it is. For $25,680 you can get behind the wheel of a turbocharged 310-hp 4-cylinder Mustang that has seating for four and will even return a 21/31 mpg in city/highway driving. It may not come packed with features in this trim but you still get LED exterior lights, a rear-view camera and an envious look from all of your friends. Be careful with the options and you will stay well below our $30,000 budget. Another Toyota entry, this one may seem an unlikely choice on this kind of list. It may be considered a bit bland by some but if you travel long distances and need the space then this is one of the most accomplished sedans out there. Forget the base L trim and head for the SE version, it offers great fuel economy 28/39 mpg in city/highway driving while looking sharp with its 18-inch alloys. Reliability is practically a given and at $25,200 it is extremely good value too. Crossovers are all the rage now and VW has a few for you to choose from. 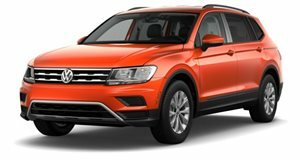 The previous-generation Tiguan is still on sale but the new generation model is only $2,345 more; at $24,595 for the base S trim you get a car that is both more spacious and offers the latest safety and convenience features. You need to spend a bit more if you want AWD but even in SE trim, which includes an 8-inch touchscreen and blind spot monitor, the price is still a reasonable $28,050. You get a smooth 8-speed automatic transmission and a strong 184-hp 2.0-liter turbocharged engine across the range. If you are the outdoors type and need a car to match your lifestyle then the rugged and capable Subaru Forester is perfect. The base 2.0i trim is just fine here and good value at $21,795, although even the top Limited 2.0i trim is only $26,295 and includes leather upholstery and climate control amongst its features list. The elevated ride-height and all-wheel-drive system will also make it a lot easier to clamber up to that mountain pass too. 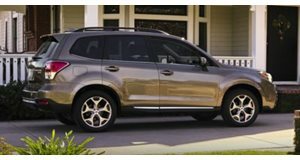 The Forester is currently being offered with a 0% APR financing deal until the end of May which goes a long way in lowering your monthly repayments.